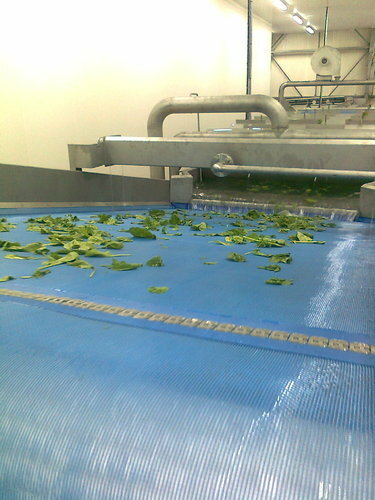 Pioneers in the industry, we offer leafy vegetable processing machinery, blancher belt type, leafy vegetable washing machine and leafy vegetable grader from India. 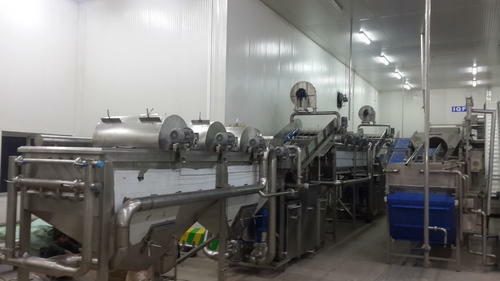 With our vast experience in this domain, we have enabled us to serve our clients with a broad array of Leafy Vegetable Processing Machinery that is used for processing leafy vegetables. The offered machinery is manufactured using optimum quality raw-material and advanced technology. As per the requirement of our clients, we provide the entire range in various sizes and shapes. 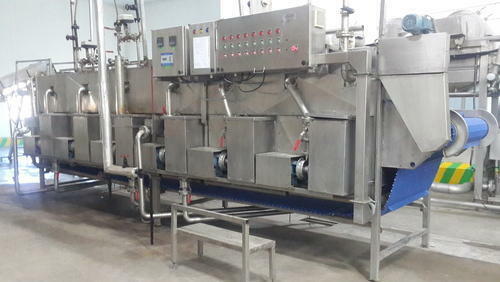 Offered at market leading price, this machinery meets the specific requirements of our valued clients. We are into offering a wide array of Blancher Belt Type which is widely demanded by the clients for their availability in different specifications.Mainly used in food industry also in frozen packing industry for blanching vegetables in order to increase the self life of the product. Also to remove fungus, bacterial contamination in the product. Highly acclaimed these Bottle Washers are widely demanded all across the world for their precise use. Moreover, to meet the needs and requirements of the clients we test the quality of these products rigorously. 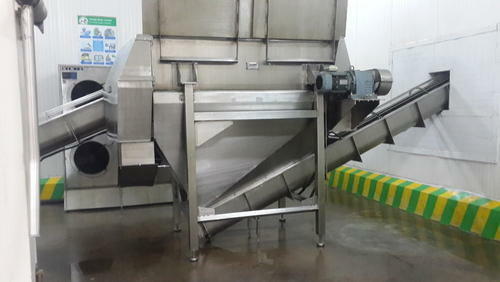 We request you to kindly send the list of Fruits and Vegetables intended to process,retention time of each fruits and vegetables and also capacity for selecting the suitable Blancher. We are dedicatedly engaged in offering a commendable range of Leafy Vegetable Washing Machine that is commonly used for washing vegetable leaf. Besides being manufactured from high-grade raw-material and latest technology, the offered line is inspected properly by our expert professionals. Owing to features like durability and sturdiness, the offered line is exceptionally valued by our precious clients. The offered line is available with us in various specifications at affordable price. By utilizing our years of experience, we bring forth a qualitative array of Leafy Vegetable Grader that is suitable for seperating stem and leaf . size grading depends on the sieve size provided in the Grader.The offered grader is manufactured utilizing superior quality raw material and latest technology. Moreover, a team of our quality controllers conducts a series of quality tests on the entire range to seek out any possible defect. In tune with industry standard, we provide the entire range in various customized options and industry leading prices. Looking for “Leafy Vegetable Processing And Washing Line”?